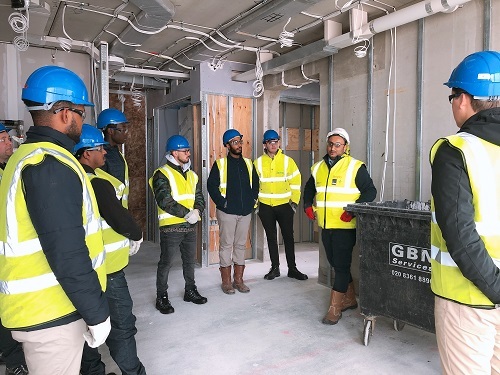 These visits to construction sites and other installations are arranged on a regular basis and provide students with insight into the industry. Below are some of our most recent site visits. 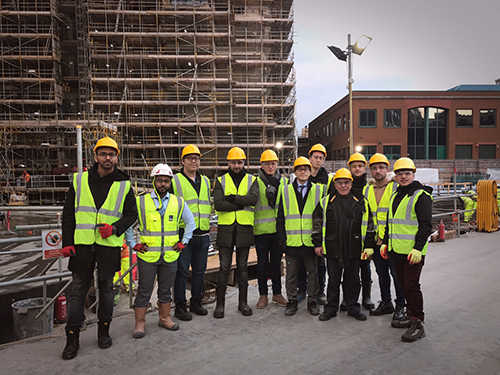 Our students had a great visit to the apartment complex at 250 City Road, where the structure of the main tower was recently completed. 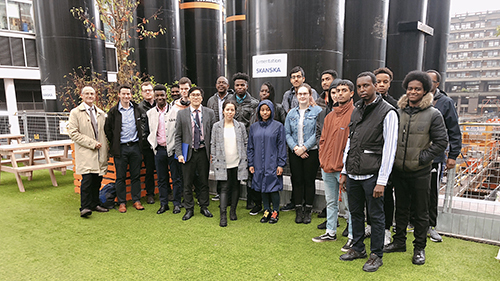 It was a fantastic learning experience for our first year and second year Civil Engineering students. We had the opportunity to enjoy the view of London at level 42, courtesy of the Berkeley Group. We toured a Tarmac concrete mix factory in West Silvertown. 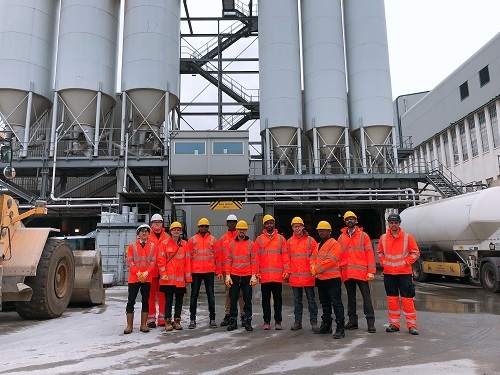 It was very insightful for our BEng / BSc Civil Engineering students to see one of the largest concrete suppliers of Tarmac in the UK, as part of their studies focuses on reinforced concrete design. 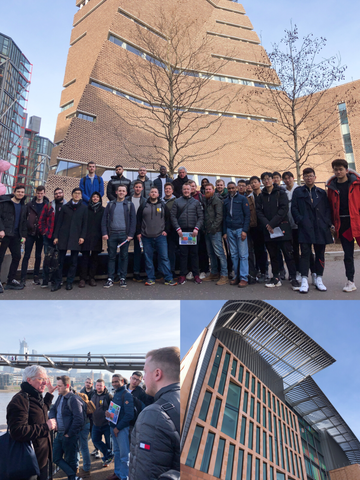 Our BSc (Hons) Civil Engineering final year students visited Tate Modern (The Switch House) and the Francis Crick Institute in King’s Cross. 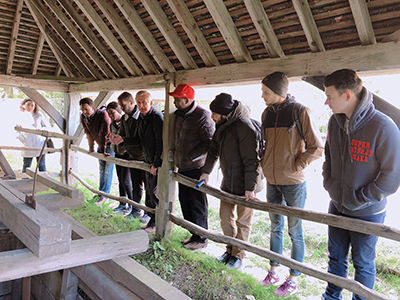 It was very interesting to show our students how buildings are designed with added complexity of site constraints and surrounding underground infrastructure, which is applicable to their design project and future work beyond. The tour was led by Lester Hillman who is a Chartered Planner and Historian. See the flyer to find out more. 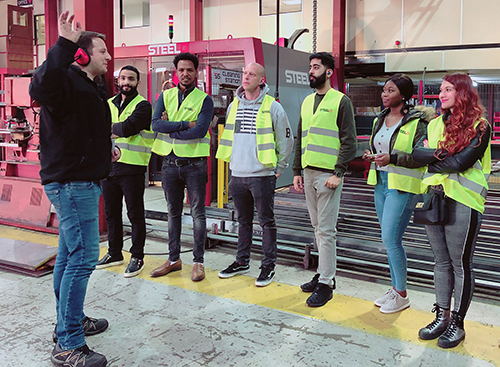 Our students visited a steel fabrication factory based in Hounslow, Steelo Ltd. We had the opportunity to see the practical world of design engineering and visit structural steel fabrication leaders in London. Students were able to experience the process from engineering drawings to fabrication in a semi-automated, 12,000 sq. ft factory. Other key topics covered included practical considerations, buildability, crainage and site tolerance. Also, designing with Tekla structures, connections and 3D modelling. Thanks to Steelo Ltd for organising the tour. The Weald and Downland Living Museum in Chichester has over 50 timber frame buildings dating back to the 14th Century, and was the first timber gridshell building to be constructed in the UK. Regarded as an iconic building to architects and industry alike, students were able to learn about the timber structures and the unique techniques used. 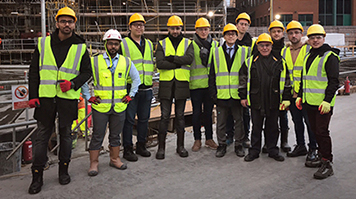 Our students had the chance to visit one of the most ambitious projects by Mace, 21 Moorfields. 21 Moorfields is an air-rights commercial development directly above Moorgate station. Site constraints include six railway lines at LUL station level, two Crossrail tunnels below ground, station services, the new Crossrail ticket hall and a major sewer. The new 17-storey office building will bridge 55m over Moorgate station. Two towers of 155m and 137m containing 42 and 36 floors. In total, the development will have 933 apartments as well as a 190-room hotel, office and retail space. The site is due to complete in 2023. The construction of tower 1 is currently at 37th floor. The core was jump form with precast twin wall construction. Superstructure slab uses Omnia deck slab. The slab tie into the core wall using pull-out bars and reinforcement couplers. All columns are cast in-situ. This site visit is arranged by Berkeley Homes.